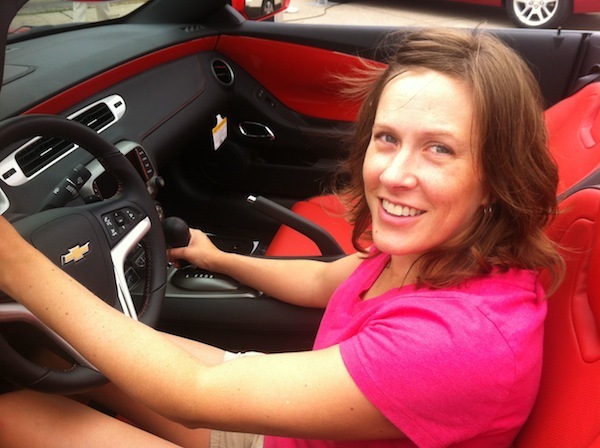 You are here: Home » Rob's Blog » Rob’s at SEMA 2012 – and the Kibbe family update! Rob’s at SEMA 2012 – and the Kibbe family update! 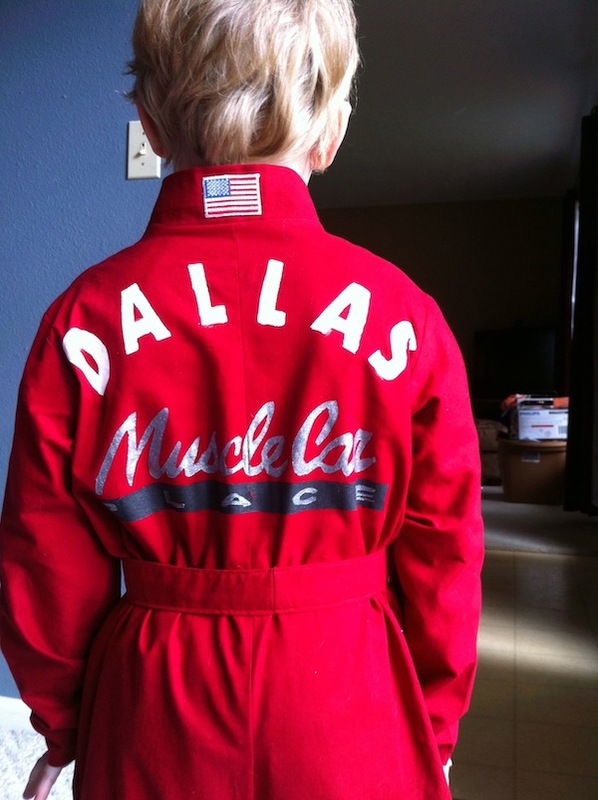 My son Dallas’ racing suit – his Halloween costume. My wife made it. It’s awesome. Today I arrived in the afternoon and took the chance to get my show passes early as well as to walk the convention center as much as I could (it’s not yet completely open). In a word, the place is “packed.” In 2010 it was nowhere near this full, and this year it seems ready to explode. In addition to hot rods and parts manufacturers there are many more “tech” companies here than I would have expected (specifically Google’s auto-drive car), and I’m already worried that there won’t be enough time to see it all. Those of you that are regular listeners of The MuscleCar Place Podcast show are likely already up to speed on this one, but what’s extra cool about this trip is the fact that Jeff Allison (owner of Allison Customs and builder of my Chevelle), Bernie McPartland (TMCP show producer), and Danny Giustino (super-sweet guy from the Bronx that owns now Muscle Express in Florida) will all be joining me at the show this year, and we all met as a result of the podcast show. They all took time from their normal lives to fly in and get together to work the show together and to have a little fun as well. We have a ton planned, and I genuinely can’t wait to see them. I’ll also be palling around with Larry Callahan, my co-host on the Pro-Touring.com podcast, and Dan Kahn, my co-host on Cars For A Living. We’ll be recording interviews for both of those shows as well as TMCP while we’re here. As an aside, tonight I went to a “casino dinner” with Larry Callahan and Martin from Holland (and Martin bought)! My wife Laura sitting in a 2013 Camaro convertible. I owe her one of these (though hers will be a manual). Thanks a ton to those of you that have followed TMCP, to my sponsors, and (biggest of all) to my wife for allowing me to work 80 hour weeks just so that I can work in an industry that I enjoy and not sit in a dimly lit grey cubicle. Two years ago I never could have seen something like this coming (in fact, as I type this it almost seems like I’ve made it up) so thanks for taking care of everything in our lives to allow it to happen. I’ll close out this post with a few updates of my kids getting ready for Halloween 2013. 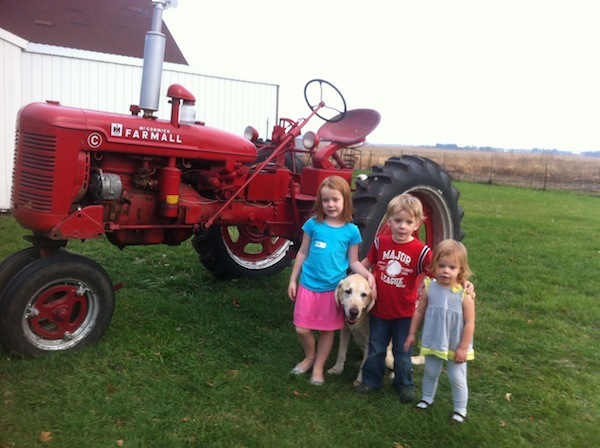 The picture with the tractor is out at the DeMoss pumpkin patch. 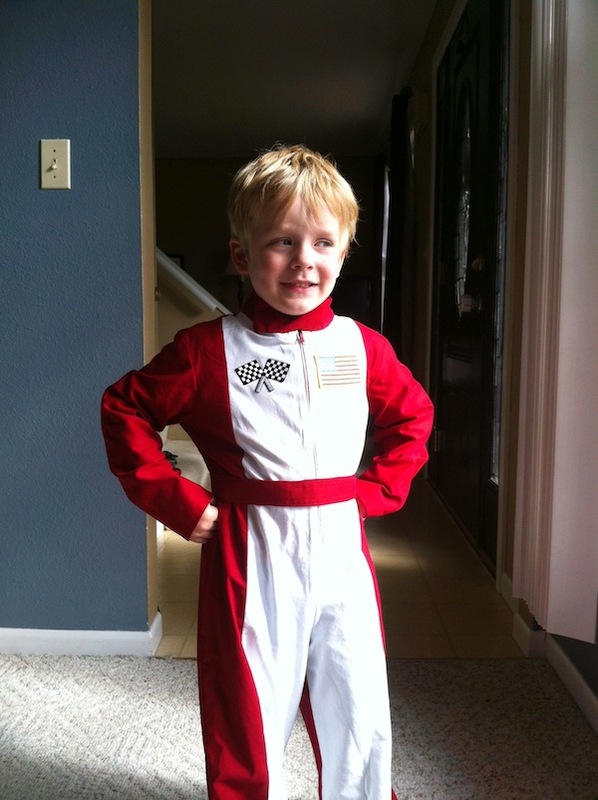 My son’s race-car driver suit was made by my wife. I’m proud to be his “sponsor”! Here’s to a fun SEMA 2012, and I’m already looking forward to 2013. Kibbe kids at the pumpkin patch! Emily (6), Bo (dog), Dallas (3), Noelle (2). Dallas’ suit from the front. $30 worth of materials. Grin was free.